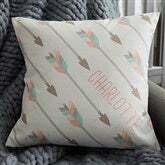 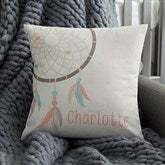 Decorate your little one's room in sweet style with our Boho Baby Personalized Baby Throw Pillow. 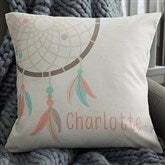 Choose from our 2 boho inspired designs featuring a dreamcatcher or arrows and personalize with any name sure to accent any nursery! 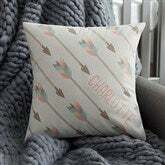 A perfect gift for new parents and babies!